Think both short term and long term when you’re trying to relax after going to the gym. Be sure to wind down after you’ve really gone for it and pushed yourself by jumping into the pool for a steady few laps or by walking slowly on the treadmill. Then once you’re back from the gym, ensure that you’ve replenished your energy levels with a nutritious post-gym snack such as peanut butter on a piece of wholemeal toast, a small to medium sized portion of quinoa, or a banana and a handful of oatcakes. After this, you must try to silence your brain, stretch out your muscles, and prepare for a good night’s sleep of preferably no less than 8 hours. 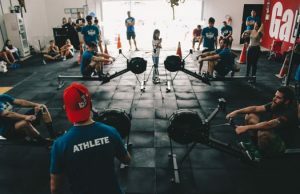 Lifting heavy weights in the gym and pushing yourself on the rowing machines can result in minor (arguably more) pain and discomfort when going about your day-to-day activities. To try and relieve this, why not book yourself in to receive a full body or sports massage to gently knead the muscles and manipulate the pain you’re experiencing? Consider using Heaven and Earth Massage and release pent-up stress, and mind and body tension. 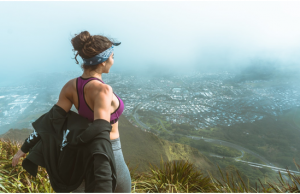 During exercise, your body will inevitably accumulate lactic acid which is a contributor to sore muscles and early fatigue during a gym session. By massaging the skin and muscles, the lactic acid is broken up and released – helping you to manage the pain and discomfort. Once you’ve finished up with your heavy gym session, and you’re feeling adequately hot and sweaty, it’s then time to hit the showers and immerse yourself into the cool waters of the pool. Use swimming as downtime to calm down and stretch out your muscles and limbs after an intense work out. Once you’re done, you can enjoy another warm shower with a lightly scented showering foam to encourage relaxation. Try it before you knock it as you never know, you could enjoy it. This method is a quick fix for sore muscles as they are effectively stunned into submission. The blood vessels constrict, and as a result, are forced to expel waste products as well as the lactic acid that’s built up in the tissues. The freezing environment is believed to combat microtrauma (small tears) in muscle fibers and reduce the resultant pain. After working out, it’s crucial to rehydrate your body. You will have lost vital nutrients and water through your pores as you’ve been sweating. Water is the best liquid to choose when you’re feeling dehydrated, but also consult your doctor if you’re concerned about losing salt reserves. Do your research on energy drinks as some include a mixture of minerals that can be helpful to get you feeling back to normal, but be aware where salt is concerned as you don’t want to add too much to your diet. Excess salt in your diet can cause bloating as your body retains extra water to counterbalance a rise in sodium levels, and most worryingly can lead to high blood pressure, heart disease, some cancers, and strokes.